First Presbyterian Church offers two regular Sunday worship services: 8:30 a.m. and 11:00 a.m. This service, held in Fellowship Hall (basement of main building), has a more casual feel than the 11 a.m. service held in the sanctuary. In the summer (Memorial Day to about Labor Day) this service is moved outdoors to the children's playground at the west end of the Christian Education building. A family choir sings at this service and children are encouraged to join their parents in song. Communion is served every Sunday at this service. Food offerings for local charities are received at the communion table the first Sunday of every month. Although infant care (infants to 3-year-olds) is provided for this service, there is no Sunday School for older children. Parents are encouraged to bring children to this family service. The Sunday School program begins at 9:45 (after the 8:30 service). This service is held in the sanctuary. 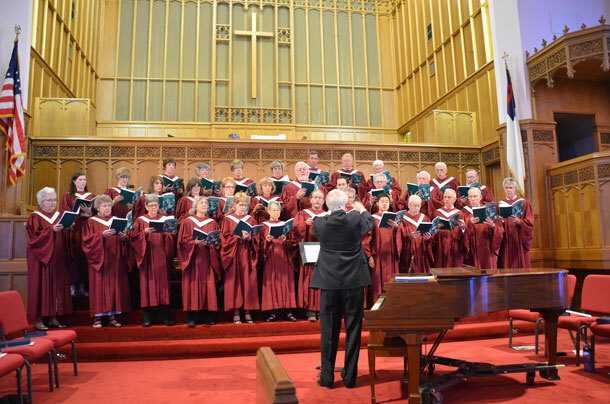 It is a classic Presbyterian service and features the 40-member Chancel Choir, accompanied by music from the largest pipe organ in the state. This service includes a children's time (usually a story) and often features the children's or youth choir. Infant care and Sunday School are available for this service. (Children who attend Sunday School are encouraged to attend the first part of the service and then go to their classes immediately following the children's portion of the service). Communion normally is served the first Sunday of every even-numbered month. 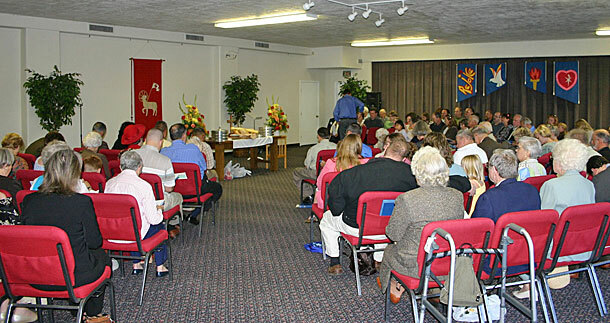 During communion, food offerings for local charities are received at the communion table.